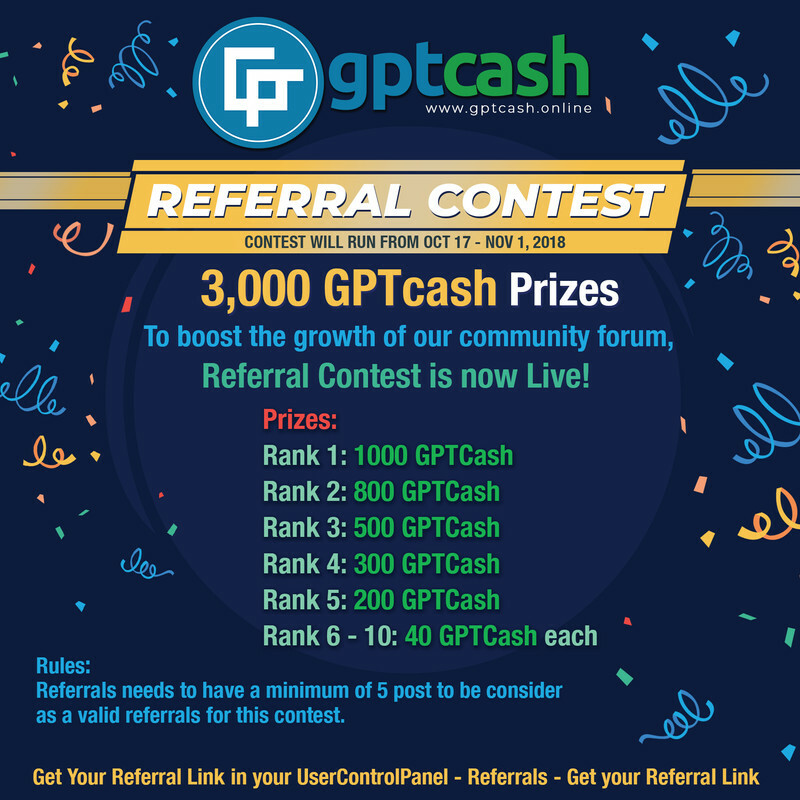 Prizes will be sent in your registered GPTCash wallet address. To boost the growth of our community forum, Referral Contest is now Live! Wow its nice bro congrats your staff member. twitter bounty closed forever now? is there a leader board to check the current standings? how can I access my ref link? Hello, admins and moderators take part in the referral program?